Courtesy of Weichert Realtors- Triangle, Dexter Womble. On the water at Lake Gaston! Single boat house w/lift, approx. 27 water depth. 3 bedrooms & 2 bathrooms. Gas fireplaces in Great Room and Master Bedroom. Master bathroom features marble floors & shower with a dressing room. Deck off Master bedroom and great room with views to the water. Sale includes wooded lot next door, Lot A37, (.55 acre). Total combined lots would be 1.02 acre +/-. Home is at the end of a cove with the better water views at the waters edge. Come and enjoy the lake life ! From Warrenton, HWY 158 East, Left onto Churchill Road, Right onto Hubquarter Road, Right into Lake Gaston Estates onto Fishermans Lane, Right onto Holiday Drive, Left onto Yachtsman Drive, Left onto Driftwood Court, Home is at the end. 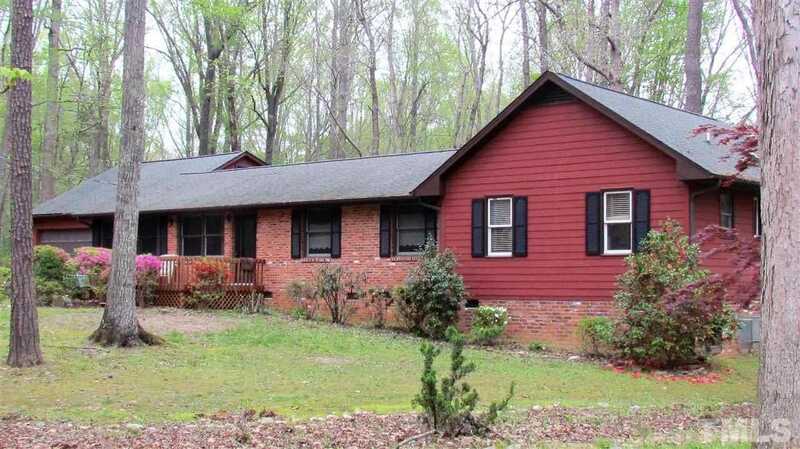 Please, send me more information on this property: MLS# 2248473 – $325,000 – 124 Driftwood Court, Macon, NC 27551.